THE history of Ireland is complicated, often confusing, sometimes inspiring, and nearly always involves some form of bloodshed. Given the country's love for storytelling, it's little wonder that some brilliant films have been made about the subject over the years. The most recent film on our list, 2014's '71 is a fast-paced thriller set in Belfast during the early years of the Troubles era. The movie focuses on a young British soldier - played by Jack O'Connell - who becomes separated from his unit during a bloody local riot. Trapped in a volatile area of the city where Catholic republicans and Protestant loyalists live side-by-side, this soldier's story is as much about survival as the Troubles itself. Set in the wake of the 1916 Easter Rising, this lesser-known film follows a married woman in a small Irish village who has a controversial affair with a British officer during World War I. The film was directed David Lean - the genius behind classics such as The Bridge on the River Kwai (1957), Lawrence of Arabia (1962) and Doctor Zhivago (1965) - and won two of the four Oscars it was nominated for in 1971. Despite getting a mixed reception at the time, Ryan's Daughter has been reconsidered by some critics in recent years - and has even been dubbed an "overlooked masterpiece". Based on the life of Philomena Lee, this compelling watch tells the story of an Irishwoman who - after becoming pregnant aged just 18 - was sent to a home for unwed mothers and separated from her son. The film follows the attempts of Philomena (Judi Dench) to find her lost son a half century later. At the heart of the film is the blossoming relationship between Philomena and London journalist Martin Sixsmith (Steve Coogan), who joins her journey in pursuit of 'Anthony' - who was renamed Michael A. Hess and became a lawyer & senior official under the Reagan and George H. W. Bush administrations before dying of AIDS in 1995. Based on the 1981 hunger strike by Irish republican prisoners in Northern Ireland, Some Mother's Son stars Helen Mirren as Kathleen Quigley and Fionnula Flanagan as Annie Higgins - the mothers of two of the strikers. When the prisoners start refusing food and become incapacitated, the mothers must decide whether to abide by their sons' wishes, or to go against them and have them forcibly fed. What an unthinkable decision to have to make - it's fair to say the film is one serious emotional rollercoaster! Liam Neeson's stirring performance as the eponymous Irish revolutionary was criminally underrecognised by Hollywood - the Antrim man wasn't even nominated for an Academy Award. The 1996 biopic follows Collins' rise in the wake of the Easter Rising through to his Irish Free State negotiations in London, the Irish Civil War and his eventual assassination in Béal na Bláth, County Cork. Julia Roberts' attempt at an Irish accent may be... interesting, but the love story between Collins and his beau Kitty Kiernan is another highlight of what is already a classic piece of Irish cinema. Jim Sheridan's courtroom drama is based on the true story of the Guildford Four, who were falsely convicted of the 1974 pub bombings which killed four off-duty British soldiers and a civilian. Daniel Day-Lewis stars as Gerry Conlon, an Irishman who spent over a decade in prison - along with his father Giuseppe - after police tortured him into confessing to a crime he didn't commit. The late Pete Postlethwaite puts in a strong performance as the aforementioned Patrick 'Giuseppe' Conlon, while Emma Thompson stars as Gareth Peirce - the English lawyer fighting to free them. Based on the 1972 massacre of 14 protesters by British soldiers in Derry, Bloody Sunday sees Ballymena native James Nesbitt do an exceptional job as former SDLP politician Ivan Cooper - who lead the anti-internment march which developed into the shooting. The film was written and directed by Paul Greengrass, who went on to write and produce 2004's Omagh about the 1998 bombing there. Though set in Derry, Bloody Sunday was actually shot in Ballymun, north Dublin - with only a few scenes filmed in Derry's Guildhall Square and in Creggan on the actual route of the march in 1972. A 21st century masterwork - Steve McQueen's film about the 1981 hunger strike sees Kerry superstar Michael Fassbender put in the performance of his career so far as Bobby Sands himself. The movie outlines events in the infamous Maze Prison in the lead up to the hunger strike, through to its aftermath and Sands' eventual martyrdom. Another film from Jim Sheridan, My Left Foot documents the extraordinary life of the late Christy Brown (Daniel Day-Lewis, again) - a working class Irishman with crippling cerebral palsy who went on to become a successful novelist, painter and poet. With the encouragement of his mother Bridget (Brenda Fricker), Christy learns to write and draw with his only functional limb - his left foot. Both Day-Lewis and Fricker won Academy Awards for their extraordinary performances in the biopic. Ken Loach really, really pulled it off with this tale of two Cork brothers fighting a guerrilla war against the British during the Irish War of Independence (1919–1921). Widely praised, the action-packed drama won the Palme d'Or at the 2006 Cannes Film Festival and remains Loach's biggest box office success to date. The film did well both around the world and at home - setting a record in Ireland as the highest-grossing Irish-made independent film ever - and can boast of a growing cult following amongst fans of historical cinema. What do you think of our Top 10? 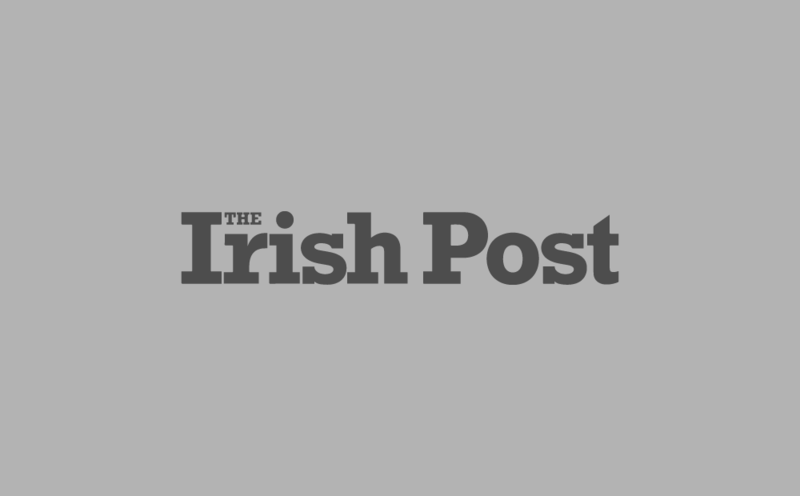 Give us a shout on Facebook at @TheIrishPost!